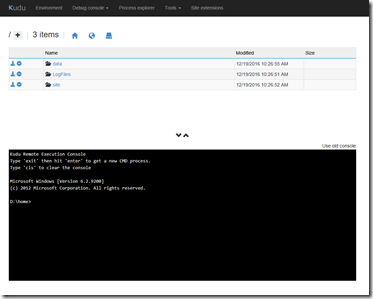 In this third part of my series on Azure Function development I will cover a number of development concepts and concerns. These are just some of the basics. You can look for more posts coming in the future that will cover specific topics in more detail. One of the first things you will have to get used to is developing in a very stateless manner. Any other .NET application type has a class at its base. Functions, on the other hand, are just what they say, a method that runs within its own context. Because of this you don’t have anything resembling a global or class level variable. This means that if you need something like a logger in every method you have to pass it in. [Update 2016-02-13] The above information is not completely correct. You can implement function global variables by defining them as private static. You may find that it makes sense to create classes within your function either as DTOs or to make the code more manageable. 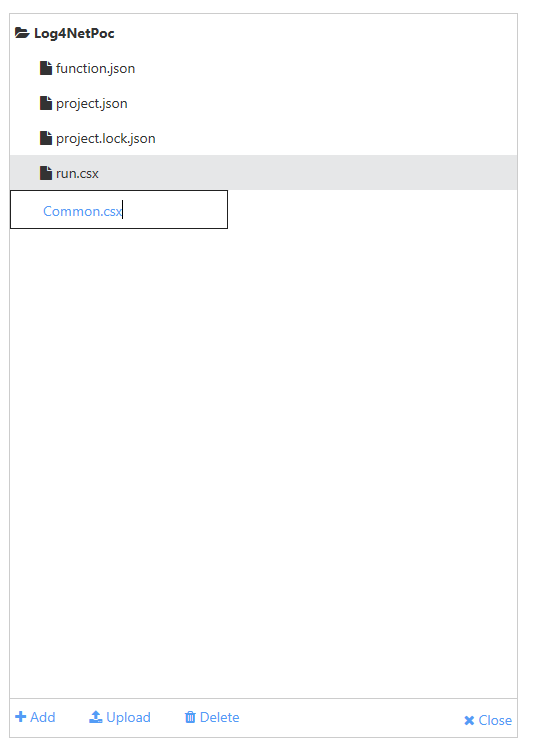 Start by adding a .csx file in the files view pane of your function. The same coding techniques and standards apply as your Run.csx file, otherwise develop the class as you would any other .NET class. In the previous post I showed how to create App Settings. If you took the time to create them you are going to want to be able to retrieve them. The GetEnvironmentVariable method of the Environment class gives you the same capability as using AppSettings from ConfigurationManager in traditional .NET applications. A critical coding practice for functions that use perishable resources such as queues is to make sure that if you catch and log an exception that you rethrow it so that your function fails. This will cause the queue message to remain on the queue instead of dequeuing. It can be hard to read the log when the function is running full speed since instance run in parallel but report to the same log. I would suggest that you added the process ID to your TraceWriter logging messages so that you can correlate them. 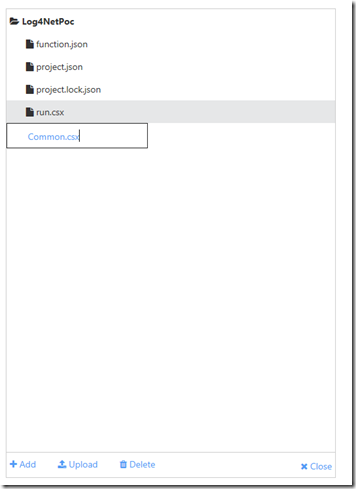 Even more powerful is the ability to remote debug functions from Visual Studio. 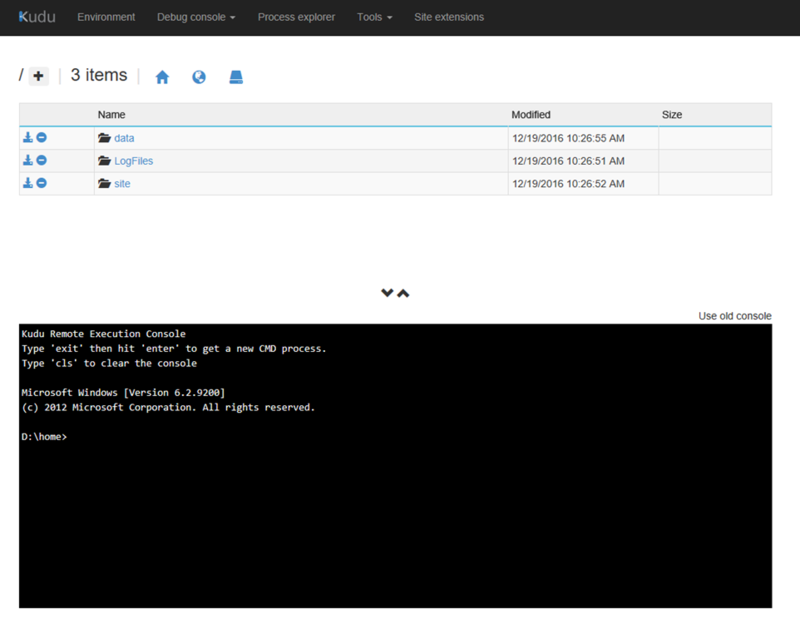 To do this open your Server Explorer and either connect to your Azure subscription. From there you can drill down to the Function App in App Services and then to the run.csx file in the individual function. Once you have open the code file and place your break points, right-click the function and select Attach Debugger. From there it acts like any other Visual Studio debugging session. I wanted to place special attention on this subject. As with any highly parallel/asynchronous processing environment you will have to make sure that you take into account any race conditions that may occur. If at all possible keep the type of functionality that your create to non-related pieces of data. 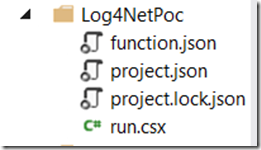 If it is critical that items in a queue, blob container or table storage are processed in order then Azure Functions are probably not the right tool for your solution. Azure Functions are one of the most powerful units of code available. Hopefully this series gives you a starting point for your adventure into serverless applications and you can discover how they can benefit your business.